Cute modern scripture cards that offer today's Christian woman HIS Word. 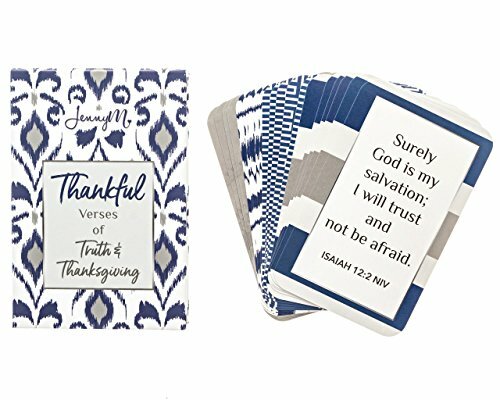 The set includes 20 beautifully designed unique scripture cards about Truth and Thanksgiving. Almost all scriptures are from NIV Bible. Wonderful Hostess Gift, or Inspirational Gift to a friend or keep one for yourself! 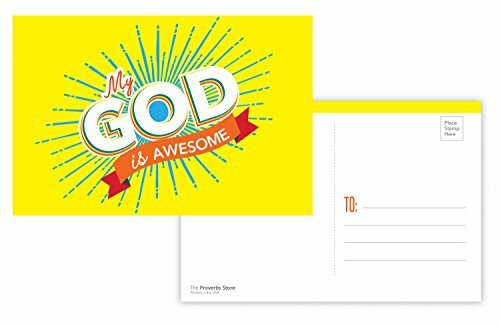 Share the goodness of God with our Christian postcards. Our postcards are printed on 14pt premium quality cardstock. The postcards are UV-coated on the front side for durability and protection. Size 4 x 6 inches. Printed in the USA. Glossy finish on the front and uncoated on the back. Postcards include address lines and postage location. Will mail with USPS Postcard Stamps. • God Is Awesome What are you waiting for? 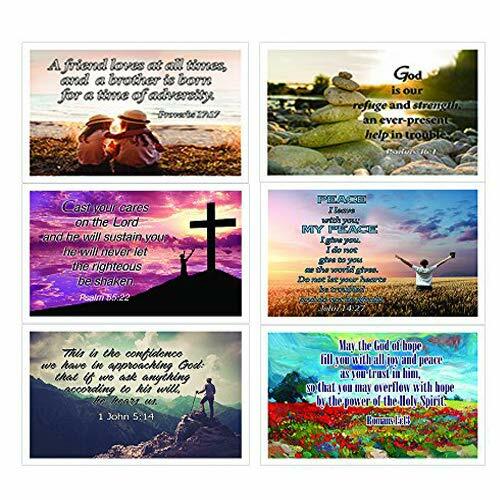 Click 'Add to Cart' to order your own set of Christian postcards today! 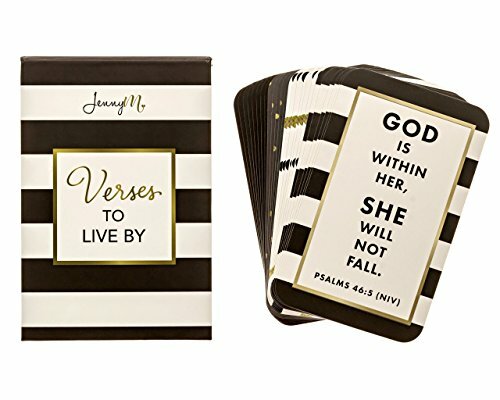 Cute modern scripture cards that offer today's Christian woman HIS Word. The set includes 25 scriptures almost all are from NIV Bible. Here are few examples of what is included! Philippians 4:6 (NIV) Do not be anxious about anything, but in every situation, by prayer and petition, with thanksgiving, present your requests to God. Romans 8:28 (NIV) And we know that in all things God works for the good of those who love Him, who have been called according to his purpose. ‭‭Psalms‬ ‭119:37‬ ‭(NIV)‬‬ Turn my eyes away from worthless things; preserve my life according to your word. John 15:13 (NIV) Greater love has no one than this: to lay down one's life for one's friends. 2 Corinthians 5:17 (NIV) Therefore, if anyone is in Christ, the new creation has come: The old has gone, the new is here! Esther 4:14 Perhaps this is the moment for which you have been created. 1 Thessalonians 5:18 (NIV) Give thanks in all circumstances; for this is God's will for you in Christ Jesus. Ephesians 2:8 (NIV) For it is by grace you have been saved, through faith-and this is not from yourselves, it is the gift of God. John 16:33 (NIV) I have told you these things, so that in me you may have peace. In this world you will have trouble. But take heart! I have overcome the world. 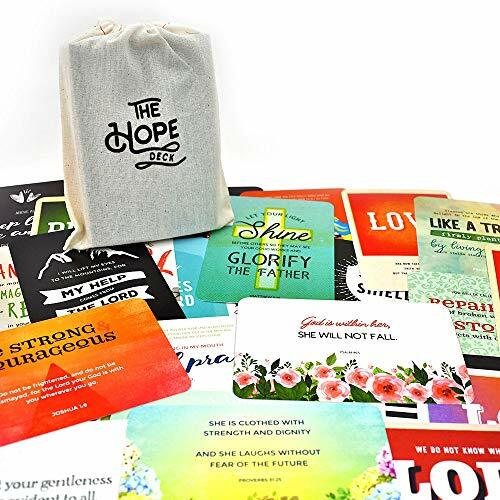 Cute modern scripture cards that offer today's Christian woman HIS Word. 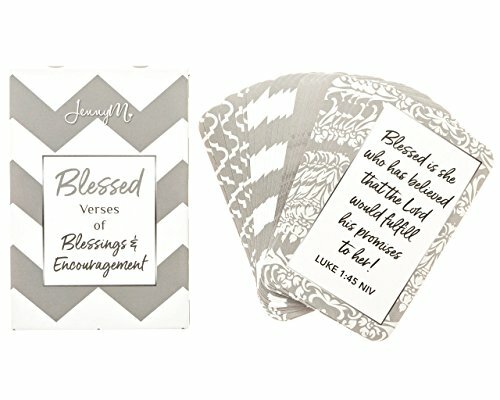 The set includes 20 beautifully designed unique scripture cards about Blessings and Encouragement! Almost all scriptures are from NIV Bible. Wonderful Hostess Gift, or Inspirational Gift to a friend or keep one for yourself! Cute modern scripture cards that offer today's Christian woman HIS Word. 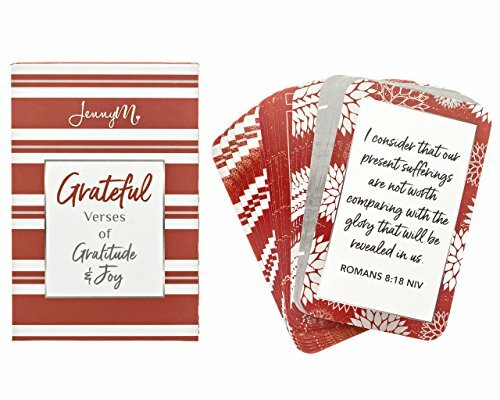 The set includes 20 beautifully designed unique scripture cards, almost all are from NIV Bible. Wonderful Hostess Gift, or Inspirational Gift to a friend! 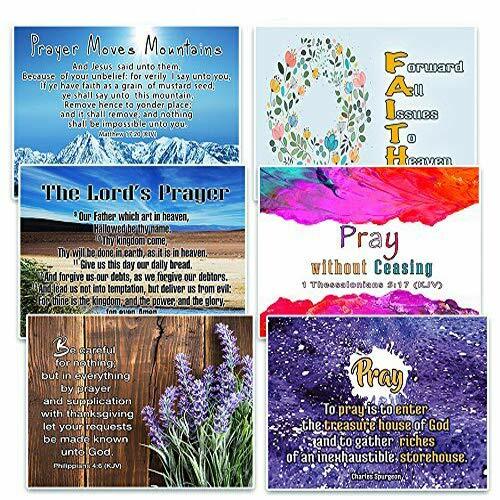 Looking for more Prayer Card Postcards similar ideas? Try to explore these searches: Rectangular Foam, Treasures Cardstock 80 Lb Cover, and Helmets Medium Flat. Look at latest related video about Prayer Card Postcards. Shopwizion.com is the smartest way for online shopping: compare prices of leading online shops for best deals around the web. 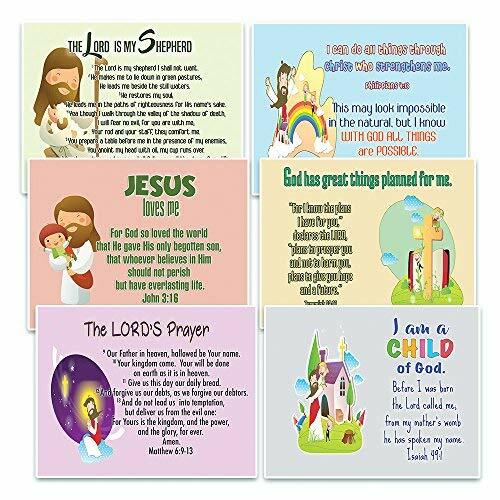 Don't miss TOP Prayer Card Postcards deals, updated daily.